Many of the mountains in the summer are easily accessible and spectacularly beautiful, yet so ruthless. Norway has a public right of access, in return the country asks us to respect the nature. Norway´s guidelines for outdooring can be found in The Norwegian Mountain Code. 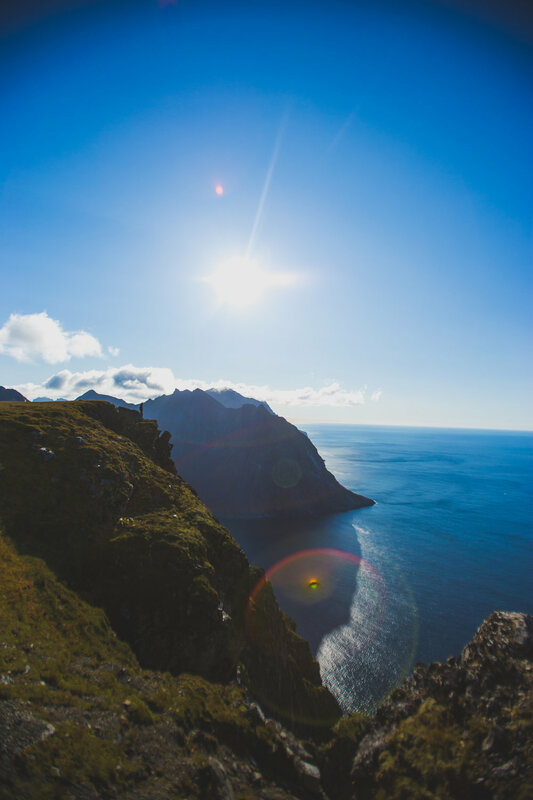 Short hikes that brings you to the very top of Lofoten in 2 hours, or walk several days along Lofotens famous fjords and exceptional mountains, with only your friends and a tent. We love the outdoors and can help to organize both short and long hikes, but remember, stay safe and get to know the responsibility that comes with the public right of access. Are you going for the adrenaline? There is only few km between Lofotens famous & spectacular walls. All the way from Laukvika, through Henningsvær and down to Helvettestinden in Reine.